Second only to Facebook in the number of worldwide users, Twitter has exploded in growth and became a social network that even those who do not use it are aware of in most cases. Twitter allows people to connect with one another in a much different format than Facebook; here, brevity is always a prime objective. As the holiday season approaches, more and more people are looking to catch up on this year’s trends and find products that will please their families and friends. Recent research shows that Twitter may very well be the strongest contender in the world of social media when it comes to building and viewing holiday shopping lists. What does this mean for your brand? Continue reading to find out about three metrics and what each can mean for your marketing aims. Twitter is a goldmine for those who are trying to find wealthy consumers who plan to spend a lot this holiday season. 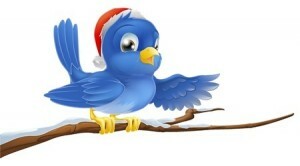 Roughly 25% of Twitter users intend to spend more than $1000 this holiday season on gifts. That’s a lot of money, and a lot of potential for you to squeeze into hashtags and paid promotions. What types of ads and tweets should you be pinging networks like Twitter with this holiday season? The most popular categories for shopping lists observed by analytics include clothing, gift cards, multimedia such as movies and video games, and electronics. It’s also true that Twitter users are a bit more likely to get “off the beaten path” when it comes to shopping for items that might not be on their original holiday shopping lists. It is amazing just how much the World Wide Web has changed our shopping and browsing habits in mere years. Twitter users – in fact, a majority of Twitter users – report that they plan to use the social network to do research and product comparisons before making a purchase. The primary reason? Personal reviews and experiences with the products in question. You can get honest data from users about how well a product functions by using social media, and Twitter is one of the best networks to do research on in this regard. You also have prime opportunities to use paid advertising to get your message in whatever way you deem fit in front of a relevant audience. By using Twitter to promote your items and encourage positive reviews, you can build a brand base this holiday season on there and boost your sales. In case you’re not aware, it is quite easy to get attention for a story or a product if it is marketed well on Twitter. By combining the tactics you should already be familiar with – quality content that informs or persuades, using multimedia to motivate the masses to engage and appropriate calls to action – you can turn a simple tweet about your latest holiday products into a catchy, viral trend that will reach thousands of people. This common dynamic is the main reason so many use Twitter: pinging networks with content allows word to travel fast.